One of the most important documents you will ever make is a resume or CV (curriculum vitae) for short. As they say putting your best foot forward will go a long way in life. You need the CV for practically everything after the school level and formatting an impressive CV is a big part of it. A CV is a multipurpose personal document, which scribes all of your achievements. 3. CV should never be static, revisit the document every 6 months to add or subtract and revise the CV. 4. Tailor the CV for the job. 5. Scan the document, make sure your high points stand out. 7. Do not mislead, this will come back to bite you and you wil have a rough time explaining it, if you are called out on it. I have included 2 sample CVs in this article. One of the CVs is a good example of the long form CV which includes in reverse chronological order all of your accomplishments. 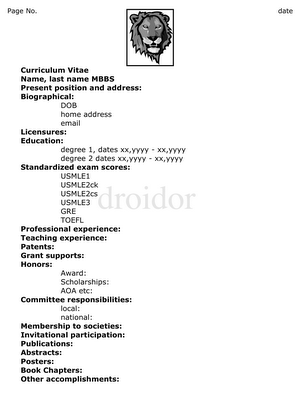 The other CV is a favorite of mine and is also popular with faculty. This is a format they easily recognize and understand. 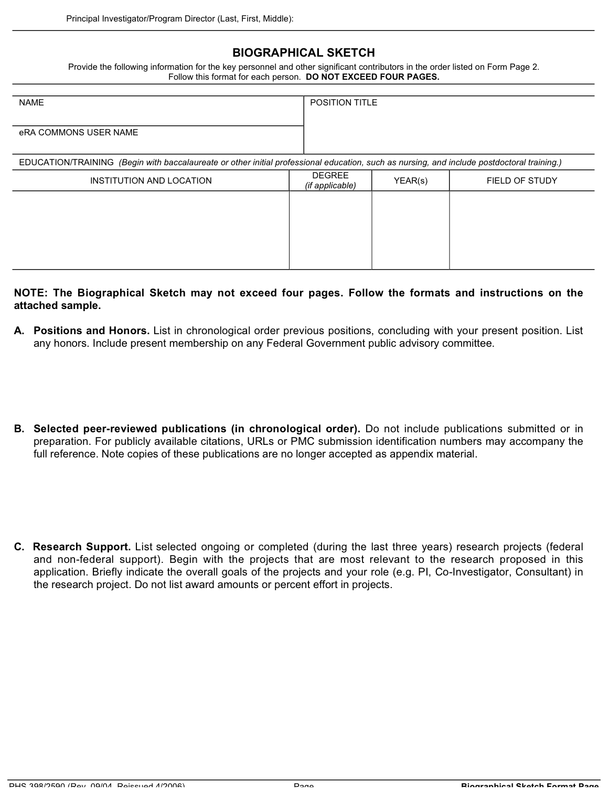 It is the standard NIH (national institutes of health) biosketch short CV format. It aims for the highlights of your CV. This should be kept handy whereever you go in case you end up handing your CV in middle of an interview. Of course, the third CV you will deal with during the application process is the ERAS CV which will be electronically generated from the ERAS site. This will be what is transmitted to the programs. 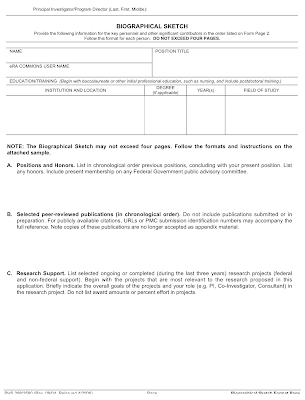 It is good to have fresh copies of your short or long CVs with you when ever you are applying for observership, externship, residency, volunteer work etc. This also brings us to an important question - Do non-medical things count on a CV? read on..
You can also use professional resume services which realize the need for a well done CV. Having a resume revised professionally will definitely give you an advantage over other applicants whose resume looks unprofessional and shoddy. I didn't add few things in my eras application in ERAS 2012. Can I add those things in next yr ERAS 2013? does it make any negative making? should i mention about attending conference( not participate, just attend)? Yes you can certainly update your CV with the new information and it wont be held against you. I think you should mention the conferences you have attended, because they can be a part of continuing medical education and thus relevant. Getting residency is a hard job actually, and there is a lot of competition nowadays. So you will need to have a strong resume prepared for interview to persuade committee that you deserve this job.